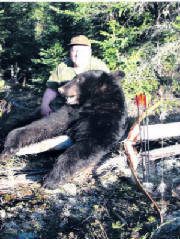 This bear was taken by Robert Gagnon of Wisconsin, on his very first bear hunt. He was hunting in Grand Rapids, Manitoba, Canada. 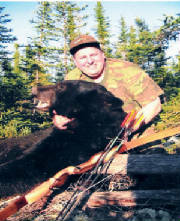 The outfitter was Fred Hobbs, Pokisimoon Outfitters, in Grand Rapids, Manitoba. This bear was the only one he got a shot at, toward the end of his trip. The guide estimated it to be 650+ lbs, and scored 19 12/16 - just shy of Boone and Crocket (it did make Pope & Young). 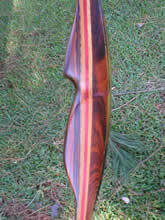 The shot was 20-25 yards and a complete pass-through including the off-side leg. Mr. Gagnon was using a 50# @ 28 inches Hunter II, Gold Tip carbon XT arrow, and a 125 grain Steel Force broadhead with bleeder blade inserts. 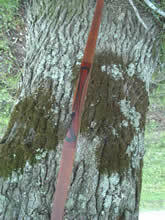 The bear traveled 35 yards after the shot - a perfect double lung.